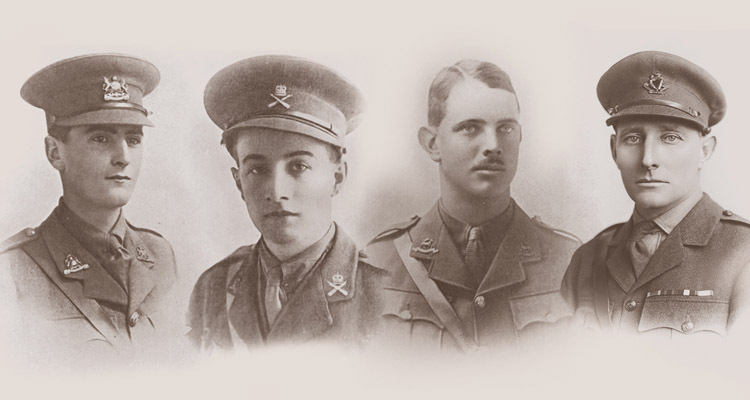 On the 4th October 1917 the first Victoria Cross to be awarded to a member of the Tank Corps was earned by Clement Robertson, a 26 year old Captain in A Battalion. He led tanks into action near Polygon Wood, during the Third Battle of Ypres, also known as Passchendaele. Robertson’s endurance and bravery resulted in the success of the British attack, and was later described by one of his fellow officers as ‘one of the most patiently courageous actions of the war.’ His was one of four VCs earned by Tank Corps soldiers during the First World War. They all had two things in common. None of the recipients were in a tank at the time, and none of them survived. Clement Robertson was born on the 15th December 1890 in Pietermaritzburg, South Africa, where his father John was serving with the Royal Artillery. He grew up in Delgany in County Wicklow, Ireland, where the family hailed from. In 1908 he and his brothers were founder members of Delgany Golf Club. Robertson studied engineering at Trinity College Dublin, graduating in 1909. For three years between then and 1914 he worked as a civil engineer for the Egyptian Irrigation Service on projects around the River Nile. When the First World War broke out in August 1914 Robertson returned to the UK and joined the Army. At first a member of the 2nd Public Schools Battalion of the Royal Fusiliers, he was commissioned as an officer into the Royal West Surrey Regiment on the 16th January 1915. He seems to have spent the next two years in Britain. 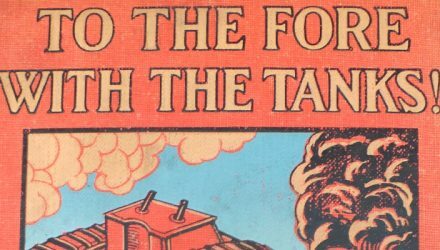 In January 1917 he joined what would later become the Tank Corps and was sent to France. At Messines on the 7th June Robertson was the commander of tank A56 in 12 Section of 3 Company, A Battalion. During this fighting his tank was hit by a German shell. This damaged the tank, killed one member of the crew and wounded two others. 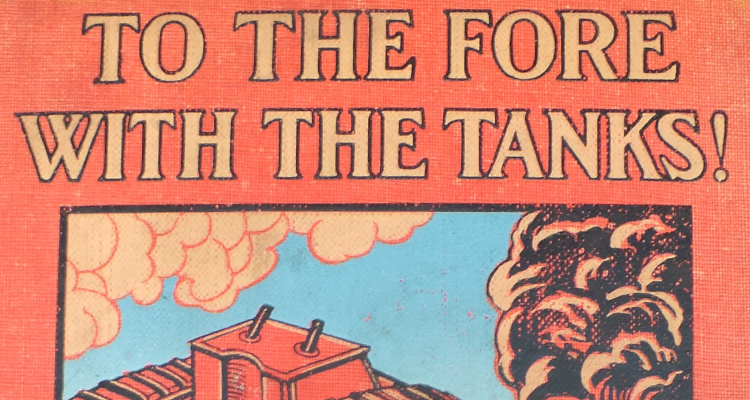 He reported that he ‘considered the tank and crew unfit to fight,’ and was forced to withdraw. This appears to have been his first experience of combat. A British attack was planned for the morning of the 4th October from the Polygon Wood area towards Reutel. It would be supported by the four tanks of 12 Section. Robertson, now an Acting Captain, was Section Commander. The advance would need to cross the Reutelbeek. Although only a small stream it posed a formidable obstacle for the tanks. Robertson laid out tape like this to guide his tanks. Robertson was determined this wouldn’t happen. From Sunday 30th September onwards he and his Orderly, Private Cyril Allen, worked tirelessly to mark a safe route up to the front line for the 28 ton tanks. 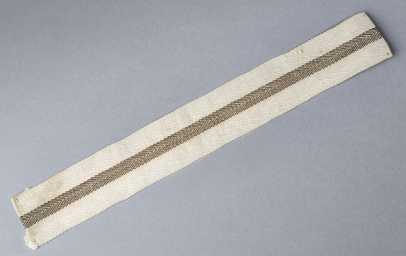 They struggled across the shattered ground under constant shellfire to lay out lengths of cotton tape for the crews to follow. They successfully finished the job and returned to the tanks late on the evening of the 3rd October. 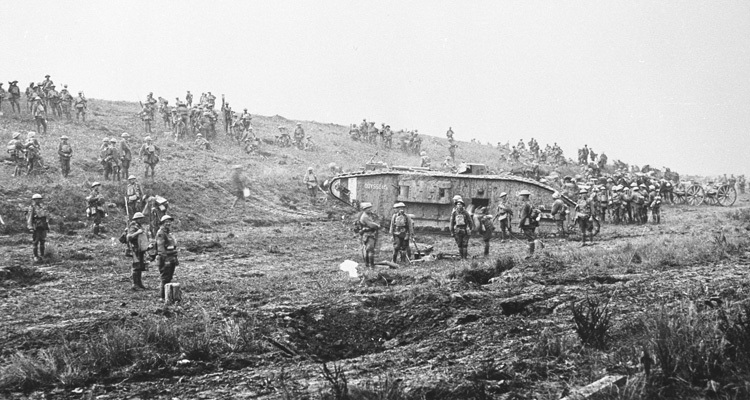 Almost immediately Robertson turned round and began moving forwards again, leading the tanks to their starting points. They were in position by 3am on the 4th. The attack began at 6am. 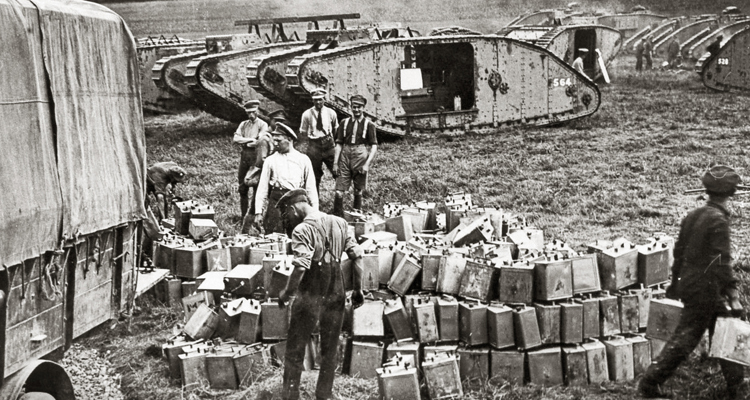 The ground in No Man’s Land was just as bad, so Robertson, accompanied by Allen, continued on foot, walking in front of the tanks to guide them forwards. The German artillery, machine gun and rifle fire was intense, but he refused to take cover, as he knew his tank crews needed to be able to see him. “For most conspicuous bravery in leading his Tanks in attack under heavy shell, machine-gun and rifle fire. Capt. Robertson, knowing the risk of the Tanks missing the way, continued to lead them on foot, guiding them carefully and patiently towards their objective although he must have known that his action would almost inevitably cost him his life. This gallant officer was killed after his objective had been reached, but his skilful leading had already ensured successful action. 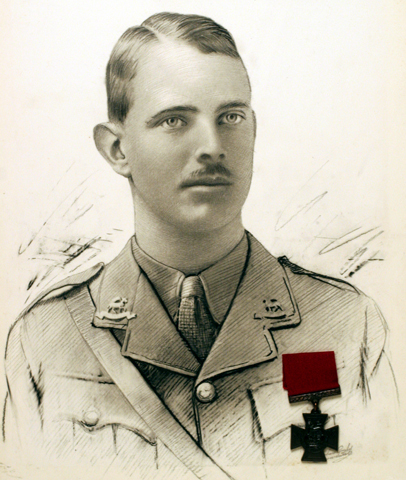 Cyril Allen, who had accompanied Robertson into action and retrieved the maps and papers from his body, was awarded the DCM. He was killed on the 20th November at Cambrai. Clement Robertson is buried in Oxford Road Cemetery outside Ypres. Find out about another Victoria Cross holder, Cecil Sewell, who was posthumously awarded the honour for his actions in August 1918. My grandfather, Lieutenant Harold Rushforth, served as a tank commander at the Ypres Salient and Cambrai. I have his battle map for Cambrai showing the disposition of the trenches with various churches highlighted for navigation presumably along with his shrapnel mask/visor and also the 1919 publication of Major Williams-Ellis’s book, ‘The Tank Corps’. Page 96 of the book includes a paragraph describing the white lining actions of Captain Robertson and his ‘servant’ (sic) Private Allen (as you have described them) to which my grandfather has added a margin note, thus: “I was with Capt. Robertson on the last night putting down tape. Just he and I.” A minor correction therefore… and I have a notion that my grandfather may have been mentioned in despatches for this little action. He was later wounded at Cambrai on November 23, shell-shocked and that proved to be the end of his active service. Like many he did not talk about ‘his war’ although I heard he was reliving it vividly on his deathbed (in 1977). 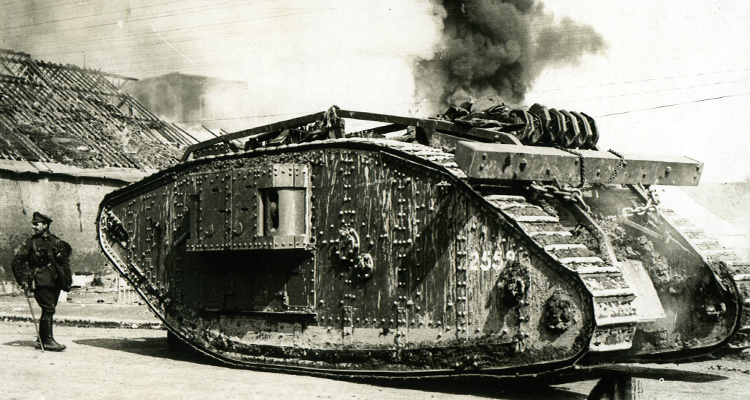 There is a story I recall, quite possibly inaccurately!, that at Cambrai their tank (number unknown) destroyed a German tank (?) after which the German officer attacked the tank firing his revolver until he was shot and killed, ‘the bravest thing I ever saw’ I recollect my grandfather saying.